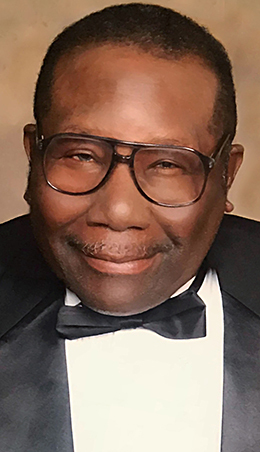 Services are scheduled for 10 a.m. Friday, Nov. 17, at Terpening & Son Chapel for Gordon Othen Sanders of El Paso, Texas. Sanders, 85, passed away Thursday, Nov. 9, 2017, at Global Hospice in El Paso. Fr. Frances Lazer will officiate the services, with interment to follow at Woodbine Cemetery. Pallbearers will be Fabio Sanders, Boonie Michael Gonzales, Marcos Cabral, Mickey Cabral, Carlos Gutierrez and Roman Granados. Honorary pallbearers are Ruben Cabral, Adam Gutierrez, Samuel Reveles Jr., Gabriel Granados and Jose Cabral. Visitation will be held from 10 a.m. – 8 p.m. Thursday at Terpening & Son Mortuary. Gordon was born Aug. 31, 1932, in Canyon Tear, Texas, to Anthony George and Zenobia (Trials) Sanders. On Sept. 24, 1955, he married Ofelia Granados in Guadalupe, Mexico. Gordon was a longtime resident of Hagerman before moving to El Paso two years ago. He was a mechanic and member of St. Catherine’s Church in Hagerman. He was also a member of the Hagerman Knights of Columbus and Lions Club. Survivors include daughter Melissa Morales and husband Carlos of Carlsbad; brothers Clyde Sanders, A.C. Sanders and Melvin Sanders; grandchildren Fabio Sanders and Boonie Michael Gonzales; great-granddaughters Ofelia Marie Sanders and Amaris Sanders; and numerous nieces and nephews. He was preceded in death by his wife, Ofelia Sanders, on July 22, 2012; his sister, Irma Green; and a brother, A.D. Sanders.